It’s impossible for me to hide the fact that I’m a super competitive person. When I was younger, I would be quietly furious at losing a game of Ludo, and as an adult I spend my mornings jogging round Clapham Common trying to overtake all the blokes in front of me. 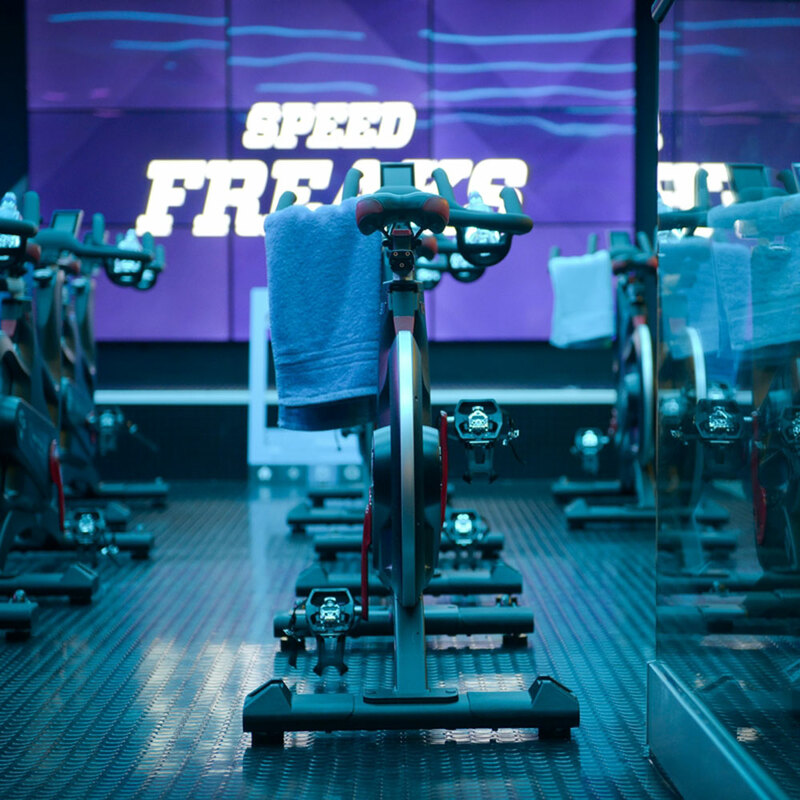 You can imagine, then, that a spinning class involving trying to beat everyone else in the room is right up my street. 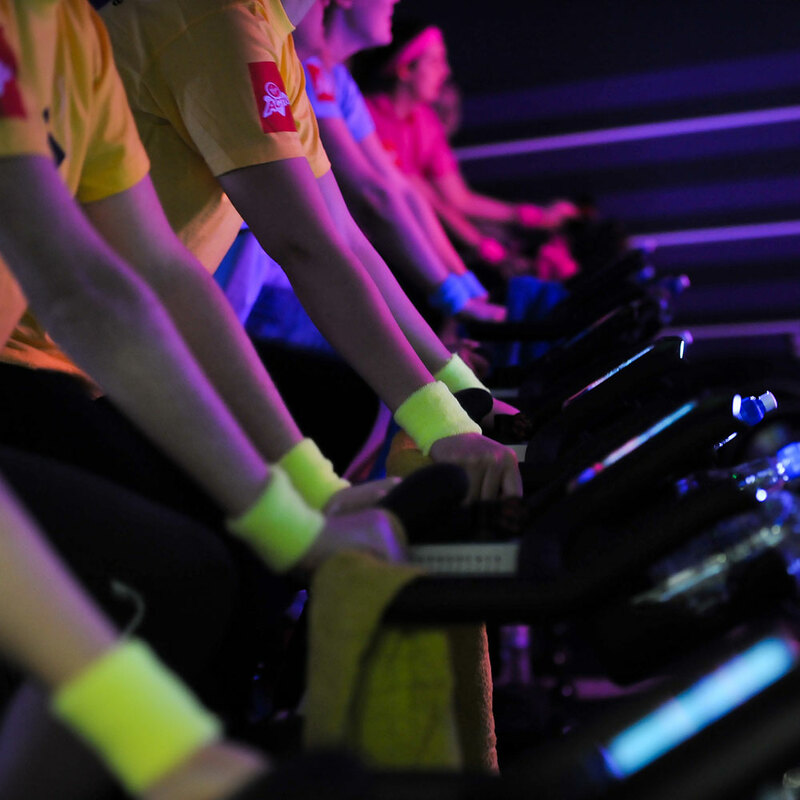 Virgin Active’s new group cycle class, The Pack, involves three teams (yellow, pink and blue) going up against each other in a series of challenges covering speed, power and steady RPM. When I went along to try the class at the Mayfair club, I obviously decided which team to be in based purely on which T-shirt colour I thought would suit me best, which of course was a massive error. What I should’ve done as I entered the room was looked around and clocked which team looked the most goddamn fierce, but still, that is a lesson learnt (victory over vanity, every time). 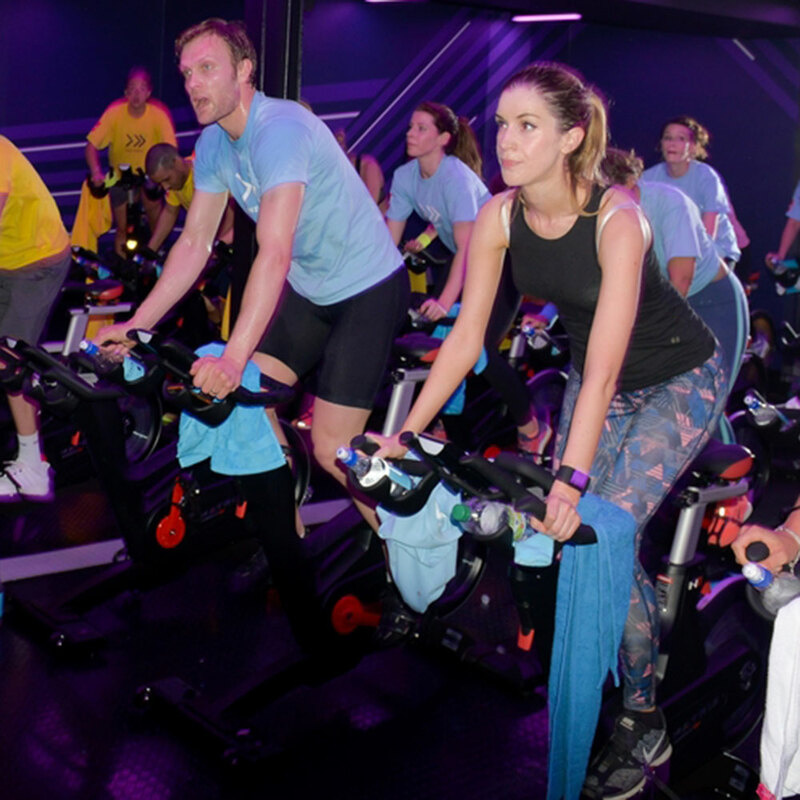 Anyway, the class itself starts off like your standard spin class, with thumping tuuuunes and lots of flashy lights, except in this case you have a big screen at the front of the class telling you what speed to cycle at, plus how long you have left on each track. Interspersed with these more familiar spinning sessions you have a series of group challenges, which include ‘Sumo’ (where your whole team cranks up the resistance until you can barely push your feet round) and ‘Speed Freaks’ (by far the best – this involves each team racing round the track by cycling as fast as possible). The entire class is 45 minutes long, with each sweaty second counted down on a clock in the corner of the screen. The name of the song playing is also displayed, which is useful if you want to go and Spotify the crap out of it afterwards. Everyone is prompted to whoop along with their teammates/scream at them encouragingly if they’re not putting in enough effort, and I have to say, the competitive element is very motivating. After all, there’s nothing like a combative spirit to make you push a little harder when you might otherwise turn your resistance right down and chill at the back of the class. By the end of the session I was sweating my face off and, according to my Fitbit, had burnt off around 280 calories (the monitor on the bike said more, but however much it was, it totally justified my post-workout Ben & Jerry’s). You can find out more about The Pack here.